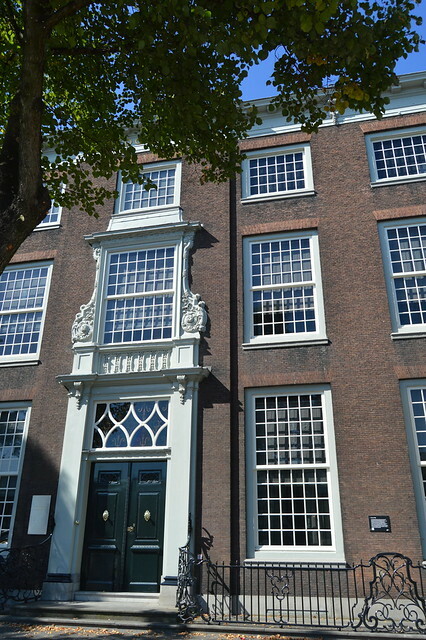 Last week I told you about our trip to Dordrecht and specifically about a Jane Austen lecture we attented in the Dordts Patriciërshuis. Today you can see lots of pictures of how we spend the rest of our beautiful day! 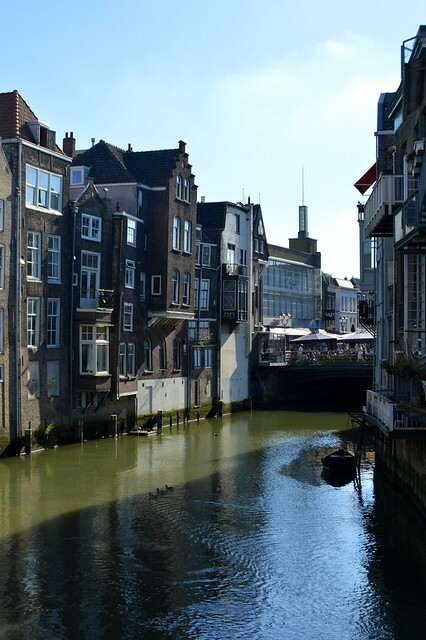 After the very interesting lecture, the delicious high tea and our visit to the Dordts Patriciërshuis, we strolled back towards the city centre passing many beautiful houses in the harbour area. 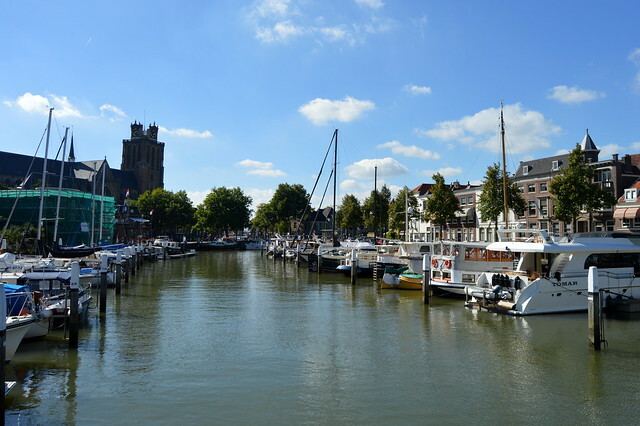 Dordrecht (or Dort as it is known in English) is the oldest city in Holland and has consequently a rich history and culture. It became a very important market city because of the location near several rivers. 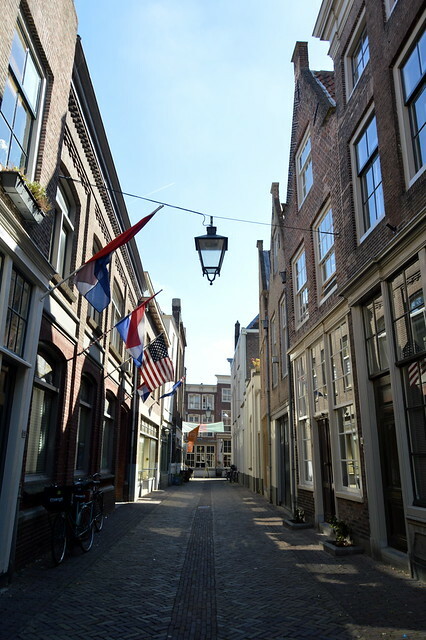 The small city centre of Dordrecht has over 950 monuments which makes it a pleasure to stroll around this lovely city. At the Wolwevershaven are a lot of warehouses. 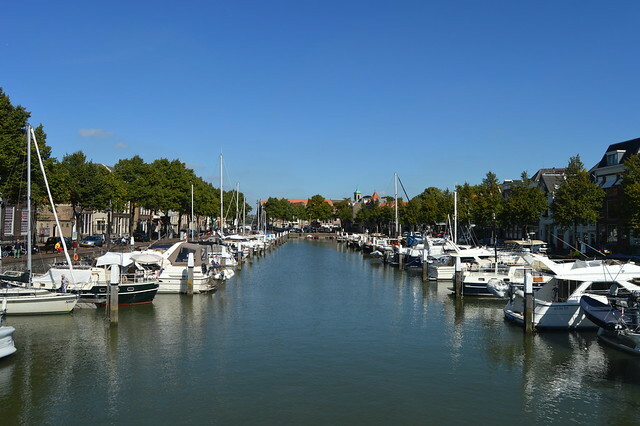 The Wolwevershaven is a harbour from the early 17th century at the river ‘Oude Maas’. Above you see a dock built in 1928. It was used to lift the ships partly out of the water to do repairs. Below you see a picture of the Stokholm warehouse which can be found at the Wolwevershaven. 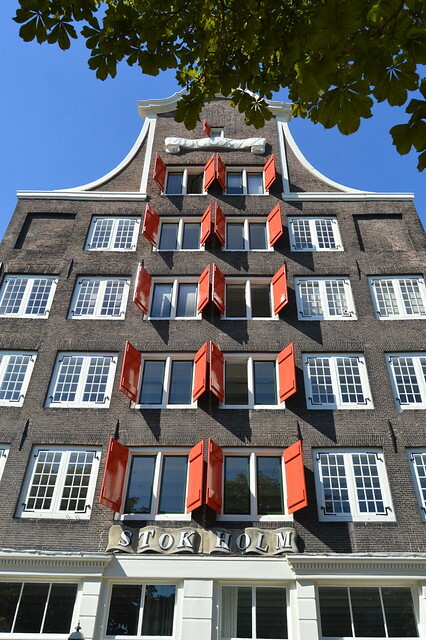 The warehouse was ordered by Anthony De Bruijn, a merchant born in Stockholm, hence the name. It was used as a warehouse for centuries, but it now houses the offices of several enterprises. 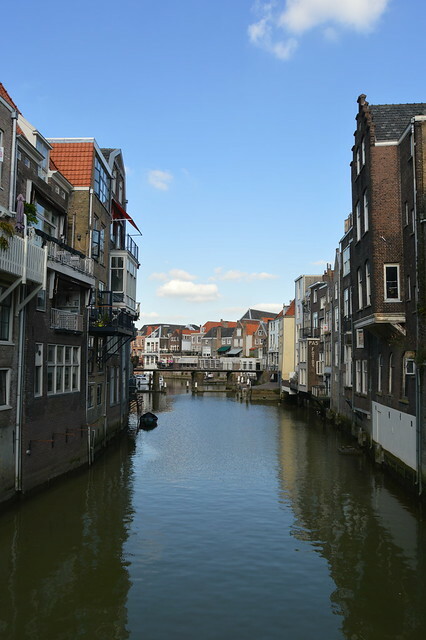 Below you see another building that is situated at the Wolwevershaven. 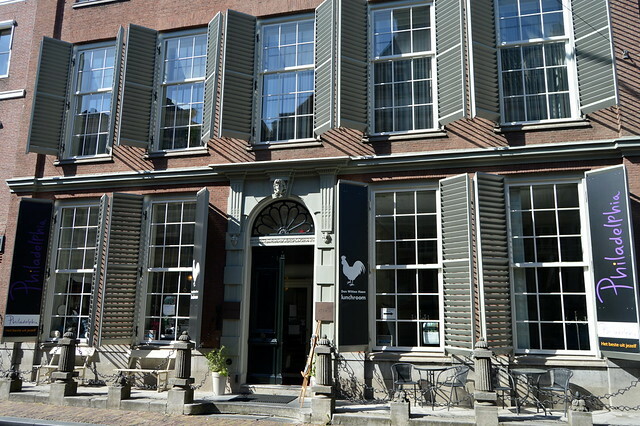 Below you see a picture of ‘Huis Vader Tijd’. This is a 17th century patrician’s house. Below a picture from ‘Huis Van Gijn’. 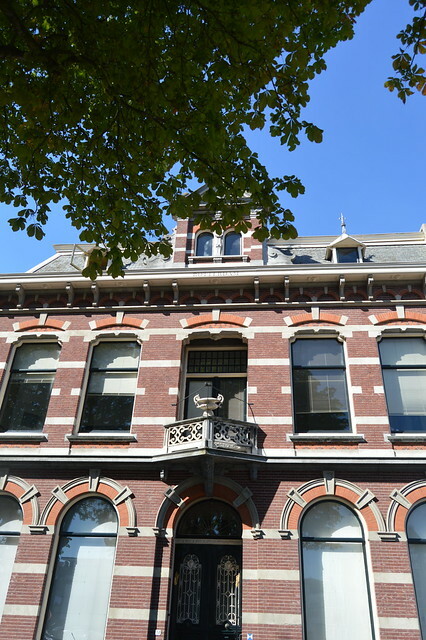 Banker Simon Van Gijn left his house to the city of Dordrecht after his death in 1922. He had collected many artefacts and he wanted the city to make his house into a museum. 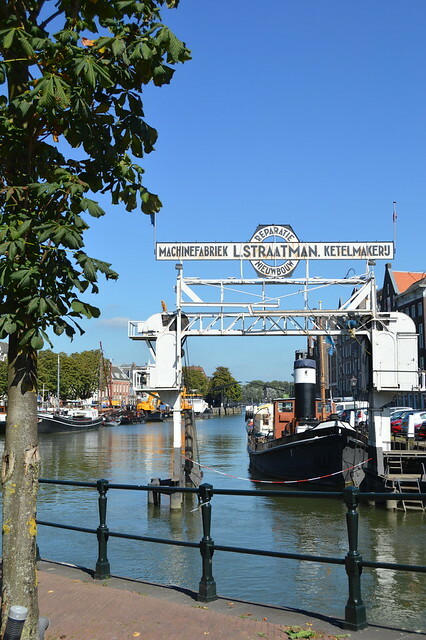 We didn’t visit the museum, but it will certainly be on my ‘to do’ list on a next visit to Dordrecht. 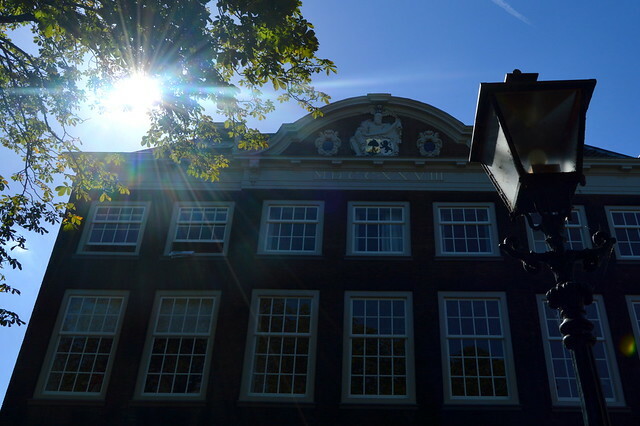 This museum contains a lot of authentic features and you can visit several rooms as if Simon Van Gijn is still alive: the kitchen, library, study,… There is also a tapestry room, an extensive collection of toys and many more. 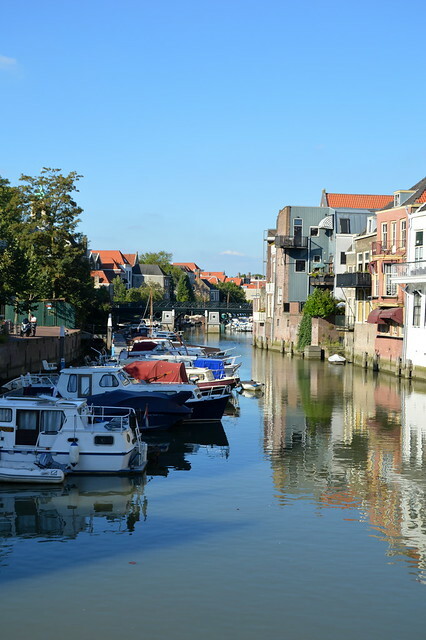 We continued our walk through the old city centre, enjoying the many narrow streets, canals and bridges. 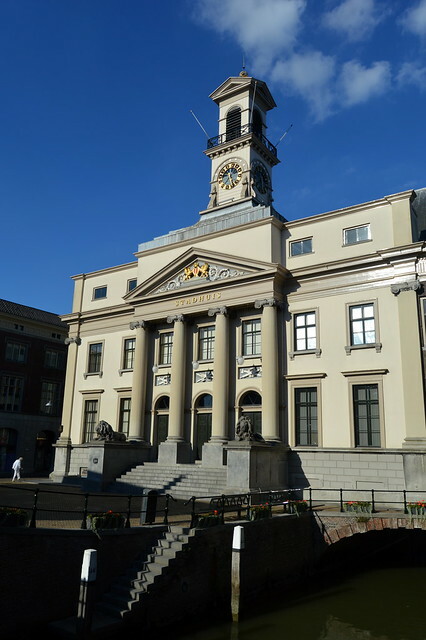 The Dordrecht City Hall was built in the 14th century by Flemish merchants. The building was used as a market and later the building was used as the city hall. 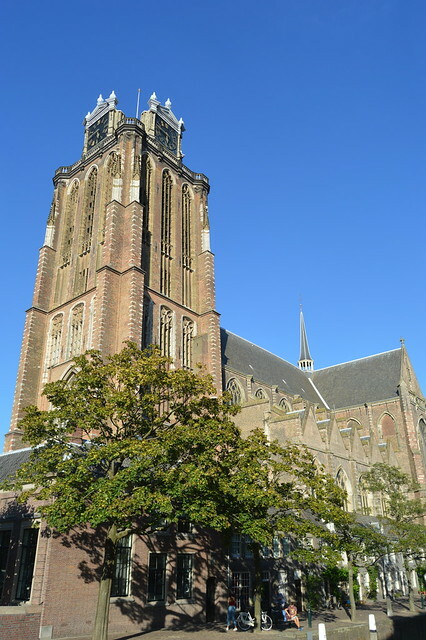 The Church of Our Lady was built in the 15th century, but the tower was built in the 14th century and can be climed. We ended our day on the outdoor terrace of Bistro Twee33. 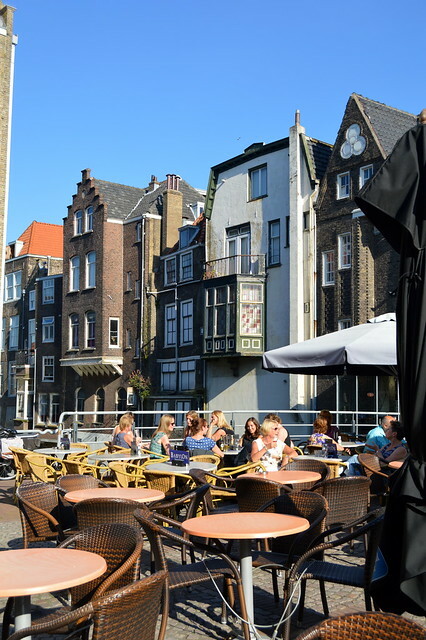 We’d had an afternoon wine earlier that day on that same terrace and decided to go back to have our diner. As it was a hot evening we sat outside, but inside you get spoiled with this fab interior. Diner was really nice. Everything was made with fresh products and the staff was very friendly. 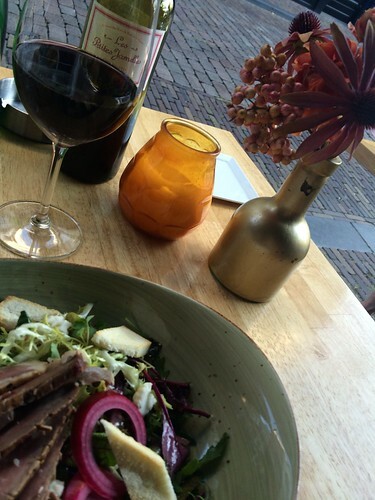 A perfect way to end our fantastic daytrip to Dordrecht I’d say! 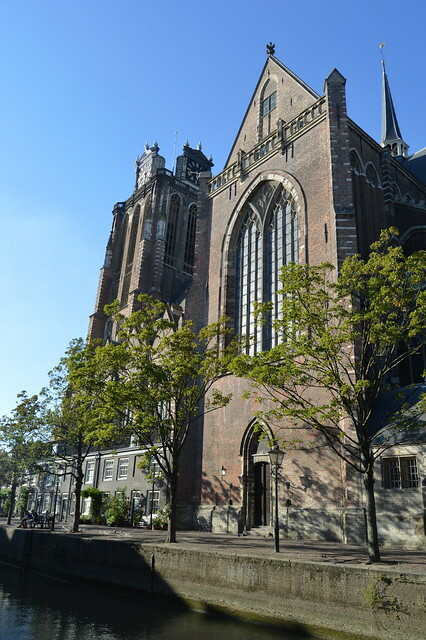 I really mean it when I say I will visit Dordrecht again. 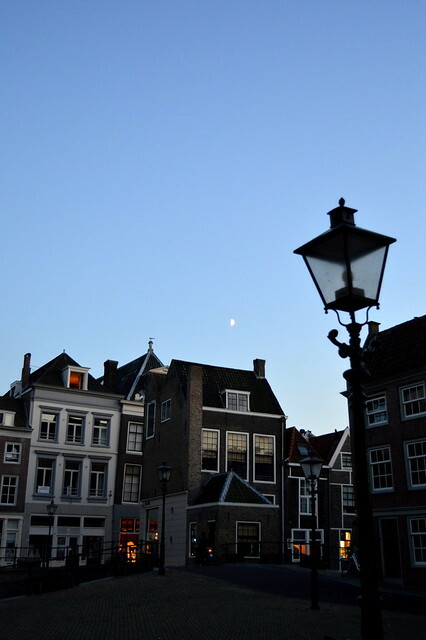 The city is really lovely and filled with history! 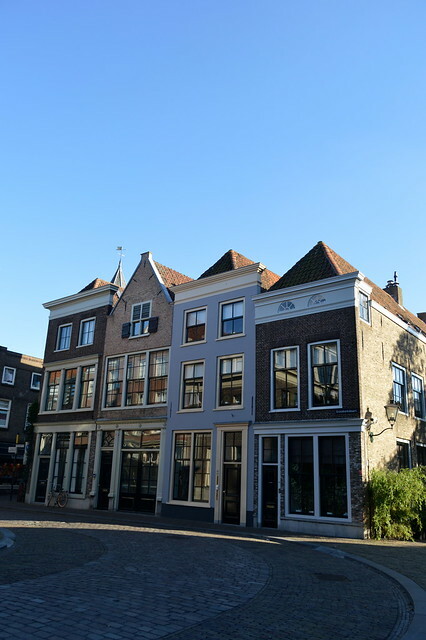 Here you can read about a trip to Amersfoort, another lovely Dutch town! 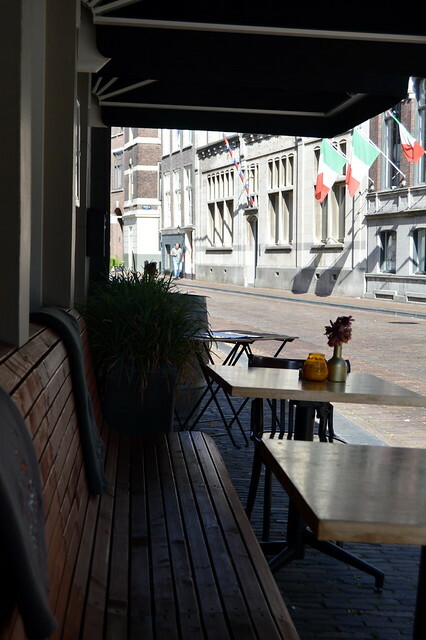 The lovely outdoor terrace of Bistro Twee33. 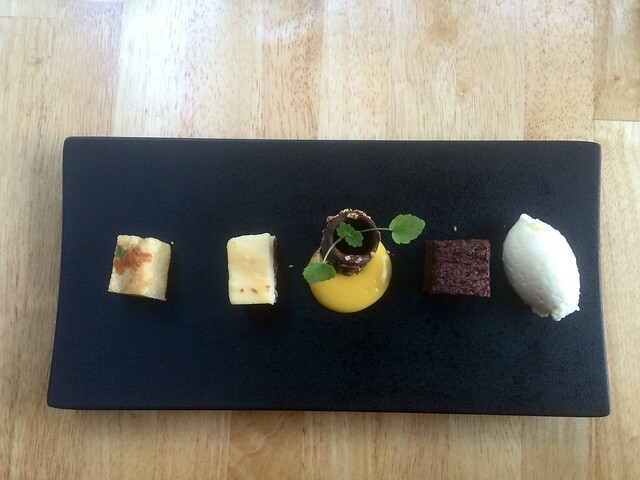 …and to finish a café complet with these 5 delicious sweets. 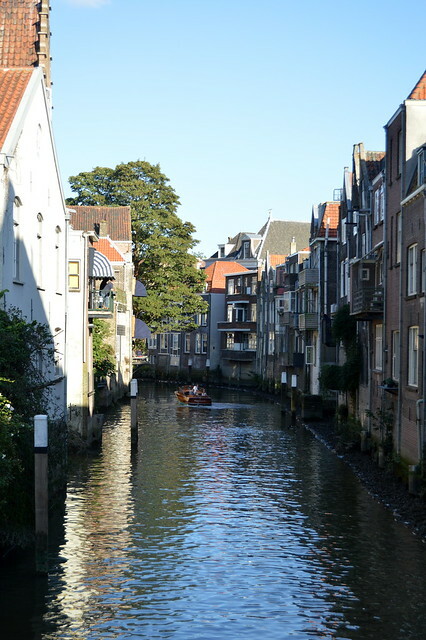 This entry was posted in Holland, Travel and tagged dordrecht, holland, tips 'n trips, Travel.